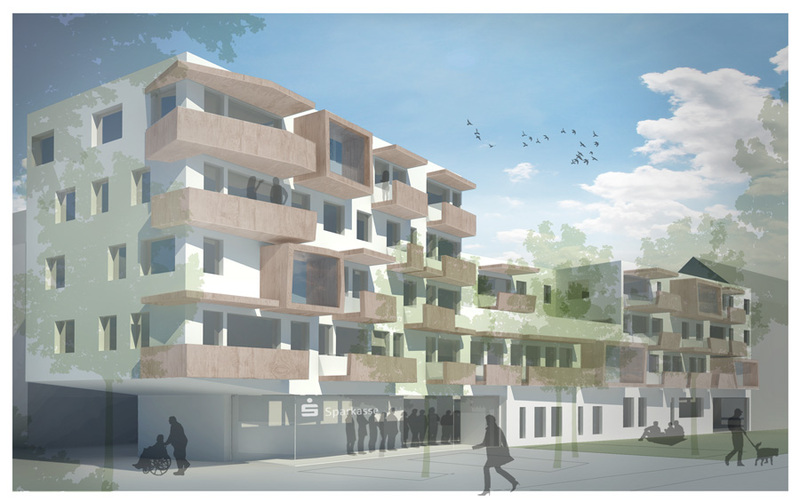 The competition aim is a barrier-free apartment and business building as passive house at the Hainhölzer Markt in Hannover, which functions for the quarter both as an entrance buildings as well as a prominent gate. 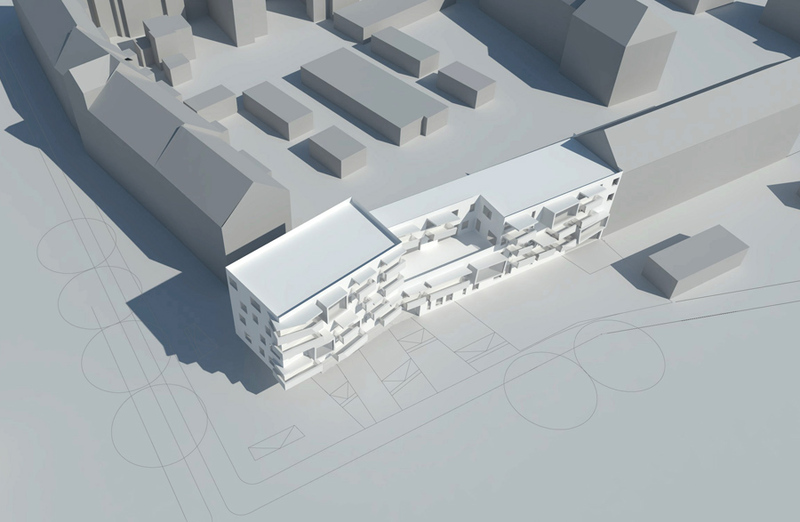 SPAR*K proposes a volume that deviates to the street and orients itself to the square. 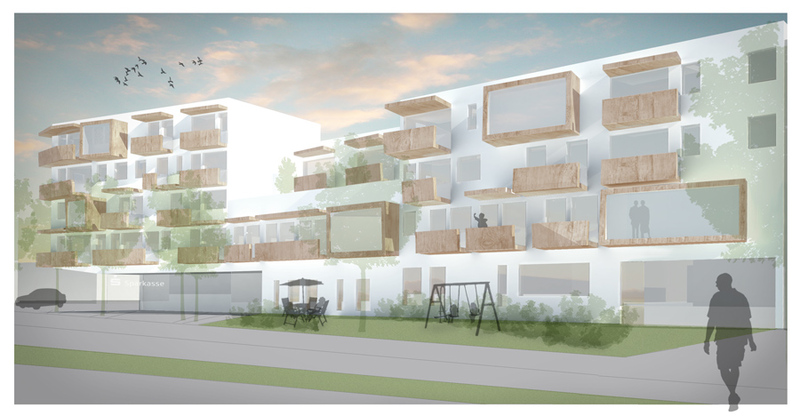 The volume is broken with a large cutout, a green terrace accessible for all tenants. Special attention lies on the private outdoor spaces. All apartments benefit from the south orientation with diverse designed balconies, terraces and oriels, which give each apartment an individual character. 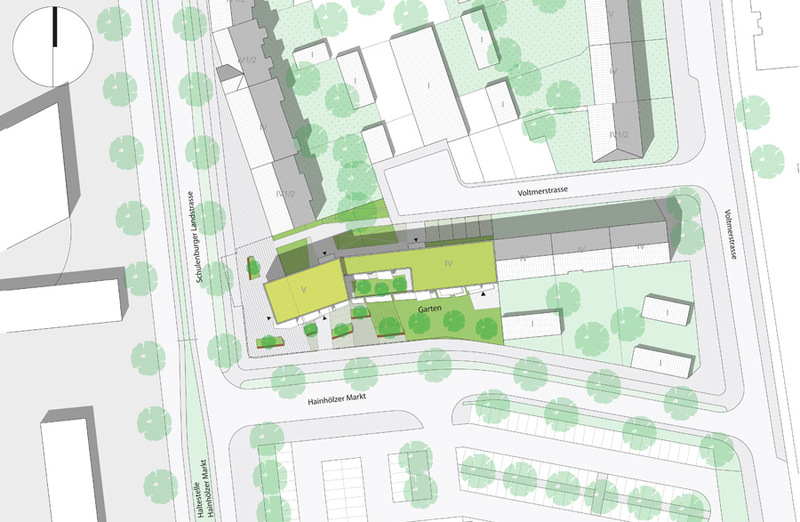 The exterior spaces are divided into public, semi-public and private garden areas. Borders between these areas are defined by existing and newly designed axis and lines from the surrounding area.